Over a dozen accessories - Everything you need in one kit! Pays For Itself in the Time You Save! A must-have tool for all glass crafters. Makes cuts fast and accurate. 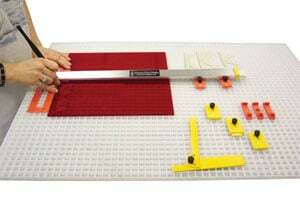 Cuts triangles, rectangles, diamonds and any other geometric shape easily. Just measure one time, then cut two or a hundred pieces - all identical! Requires a grid work surface #7125 Morton Mini Surface Plus (sold separately). The Portable Glass Shop has just what you need to get started! 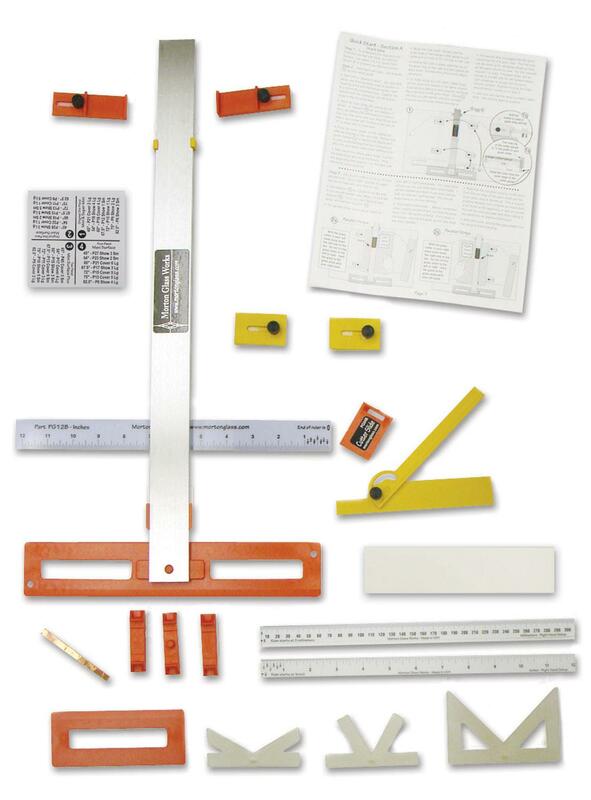 To see complete kit components click below under Product Details. Designed for use with a cutter using a 5 mm cutting head. Instructions for use with wider cutter heads are included. Projects below utilizes geometric repetitive cuts. 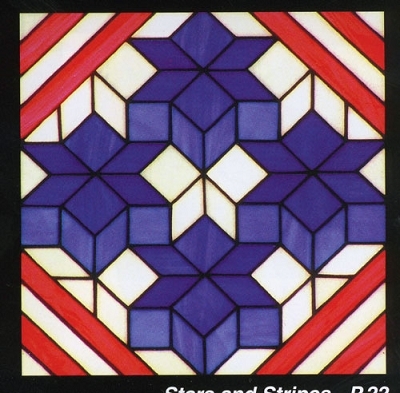 From "The Stained Glass Home" book #6640. Quilt panels from "American Quilts II" by Sara Guyol. 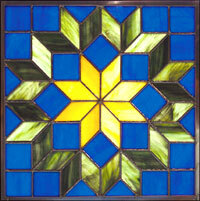 The last project below is from "Prairie Style Panels" book #7652. Mastercraft 60/40 Solder - 1 Lb. Pros : Well built and if you can learn to use it, will allow you to cut any shape. Cons : The manual is confusing, it contradicts itself, the drawings sometimes don't match the text. An audio CD is included but it is just a reading of the confusing manual. The website has 2 or 3 videos on it but they don't answer my questions. Other Thoughts : If you are a beginner, investigate all the cutting systems. I purchased the Morton based on the recommendation of teachers. 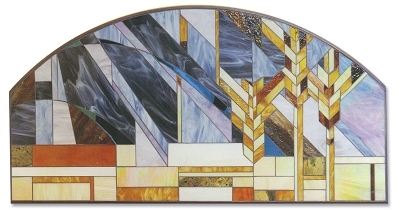 But they started in glass working when there weren't any other cutting system choices, so they had to make it work. There are other options out there now. If you are a beginner, investigate them before spending $100+ on this system. Pros : Looks complicated, but in fact it's so easy to use. Cons : I haven't any yet.